Have you ever considered a ‘Green Loan’? Asian property developers are exploring the use of green loans. Recently, there has been a deal in Singapore where a green loan was used to fund an office tower. Singapore-based Frasers Property Ltd. raised a S$1.2 billion ($881 million) green loan, the first of its kind by a Southeast Asian borrower under principles set by Asia Pacific Loan Market Association in March that aim to standardize disclosure. The facility refinances existing loans tied to Frasers Tower, an energy efficient office with its own park and podium roof gardens.  Green loan are playing catchup to bond markets, as borrowers are demanding more channels and options for such financing amongst a sustainability backdrop to address the pollution crises created by rapid urbanization and consumerism. The critics of green finance have pointed to a lack of universal standards and measures like for example, the APLMA’s guidelines aim to increase transparency on the use of proceeds and on the environmental impact of projects. “There are strong returns for banks to get into sectors like green buildings and renewable energy as they are showing very strong financial performance,” said Jonathan Drew, Managing Director, Infrastructure and Real Estate Group, Global Banking Asia-Pacific at HSBC Holdings Plc. Singapore’s Ho Bee Land Ltd. in August signed a 200 million pound ($264 million) green bridge loan for the acquisition of Ropemaker Place commercial building in London. Hong Kong real estate firm New World Development in March raised a HK$3.6 billion ($461 million) maiden green loan for a commercial re-development project. 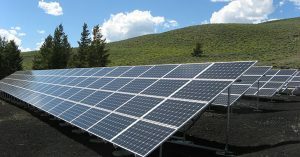 “In Hong Kong, we increasingly see property firms that are developing green buildings based on the expectations of tenants, financiers and the community to develop projects that provide higher level of energy efficiency,” said Drew, one of the lenders for New World transaction and the green structuring adviser for Ho Bee Land deal. Asian borrowers outside of real estate have also been adopting green loans. Hong Kong’s Leo Paper Group this month signed a HK$350 million loan for environmental projects in China. Singapore’s Wilmar International Ltd. this year has raised two separate credit facilities where the interest rate will be reduced based on sustainability targets achieved. Sydney-based Macquarie Group Ltd. in June raised 2 billion pound loan, with tranches to financing renewable energy-efficient projects and buildings. Have you thought of applying for a green loan for a personal project of yours? If so, how have you gone about doing it? Have you been successful? If so, please share your story with us. To view the original Bloomberg article, click here. Can Thailand follow in Indonesia’s footsteps? Indonesia’s President has signed a moratorium, (a temporary prohibition of an activity) on all new oil palm plantation development, an official said on Thursday (Sept 20), in a move initiated by environmentalists. The moratorium pauses any new land being made available for plantations in the world’s top producer of the edible vegetable oil, a key ingredient in many everyday goods, from biscuits, cakes, shampoo and cosmetics. President Joko Widodo signed the instruction, which will last a minimum of three years, on Wednesday. “The moratorium is to improve the governance of sustainable oil palm plantations, provide legal certainty, increase the productivity of smallholder oil palm plantations, maintain environmental sustainability and contribute to the reduction in greenhouse gases,” he told AFP in a WhatsApp message. 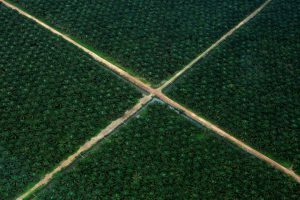 Plantations on the Indonesian Sumatra island, Papua and the Indonesian part of Borneo have expanded in recent years as demand for palm oil has skyrocketed, bringing huge profits to companies and tax revenues to the government. The palm oil growth has been blamed for the destruction of tropical forests that are home to many endangered species, and forest fires that occur every year during the dry season due to illegal slash-and-burn clearance. “The presidential instruction is a good first step in restructuring natural resource management, especially in the palm oil sector,” it said in a statement, adding ideally it would be in place for 25 years. The moratorium was first proposed in 2015, following devastating fires that covered large stretches of South-east Asia in toxic smog for weeks. The EU Parliament voted earlier this year in favour of a draft law on renewable energy which calls for the banning of palm oil in biofuels from 2030, due to the accumulating concerns about its impact on the environment. Indonesia and Malaysia will be hard hit economically as they are the world’s top exporters of palm oil. Can Thailand follow in Indonesia’s footsteps, and stop the burning of their crops? Growing market interest and a bunch of ground-breaking projects have shown how Asia could be in line to match Europe and North America in the field of blockchain-based energy trading innovation. As well as hosting a vibrant start-up community of its own, the region is already a major focus for international energy blockchain leaders such as US-based LO3 Energy and Power Ledger of Australia. Perth-based Power Ledger’s Asian projects include a tie-up with the Thai renewable energy developer BCPG and an alliance with Kepco, Japan’s second-largest utility. The Thai project has been named the first of its kind in the region, since local utility Metropolitan Electricity Authority is giving the blockchain company access to its network so that Power Ledger can help BCPG offer peer-to-peer energy trading. Belinda Kincaid, Australia director at LO3 Energy, said her company was also setting its sights on Asia, with two projects soon to be announced in Japan. Asian countries such as Japan, Singapore and South Korea were eager to embrace blockchain-based energy trading, she said, but working in Asia also meant dealing with energy markets that were less mature and receptive. Nevertheless, the challenges facing the introduction of blockchain energy trading in the region were highlighted in September, when the Electricity Generating Authority of Thailand announced plans to add fees onto blockchain-linked trades. The first regulatory challenges to blockchain energy trading in the world, came just as Thailand was being named as a leading cryptocurrency market. Energy Blockchain Trade in Asia is growing. Click here to view the original article, submitted by Solarplaza.